100 drawings of ships to celebrate the Maritime history of Ipswich for Grafton House, (a new build for Ipswich Borough Council). – Wireless responsive LED lighting deep engraved solid acrylic sheet. This work is future ready with a direct link to the IT department. And has the ability to listen to the building’s data packets and respond to them. The drawings were created in collaboration with 100 employees at the Borough, and is visible from both inside and outside the building. 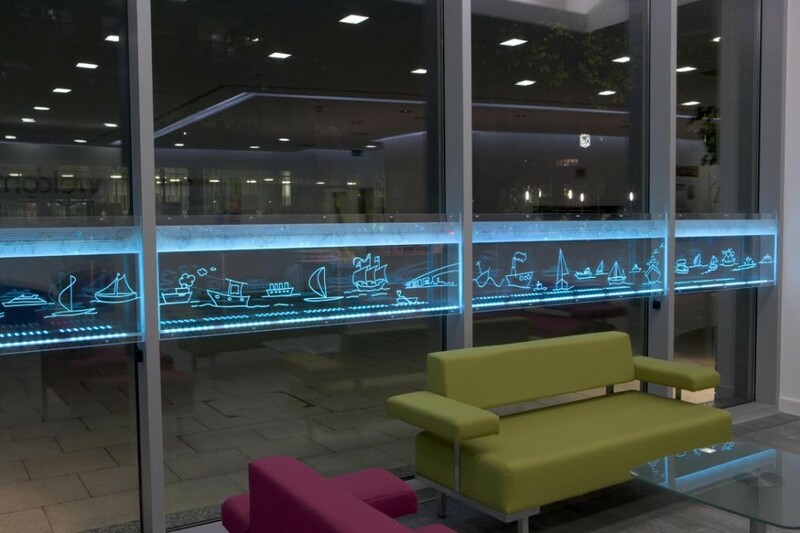 Lightships was specially commissioned for the Borough Council Headquarters, Grafton House. It is lit with ultra-bright LEDs controlled by micro-electronics with some of the lights triggered by mobile phones. Drawings etched on the piece were produced by the staff resident in the building. 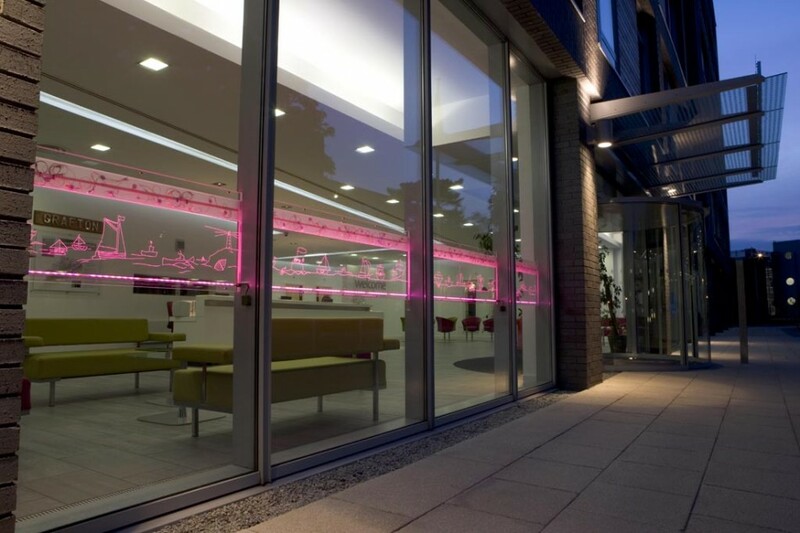 The work has been incorporated into the entrance windows of the office so that it is visible from both inside and out. It reflects the historical relationship of the Grafton name to the new building and the vicinity of the site. However, the way it has been made looks to a contemporary vision and context of Ipswich. The work is also inspired by communication, using new LED technology that is on the edge of development; in this way the work will interact with its viewers. October 8, 2013 | Filed under Commissions, Drawings, Landscape, LED, New Biulding and tagged with commission, drawing, installation, interactive, LED, mobile phoned triggered, network.